Upon entering the world of blockchain and cryptocurrencies, you’ve most likely come across the terms “smart contracts” and “digital assets”. Ethereum is the best known blockchain for the creation of smart contracts and digital assets, as are basically all cryptocurrencies. But what do these terms really mean and how are they relevant to you as a blockchain investor? Firstly, it’s important to understand what digital assets are. Assets are economic resources to which a value can be attached and that can be owned by a party. Moreover, an asset is expected to generate value in the future. Assets can be both tangible and intangible. Typical examples of tangible assets are property, machinery, inventories, precious metals and currencies. Intangible assets are goodwill, copyrights, trademarks and patents. 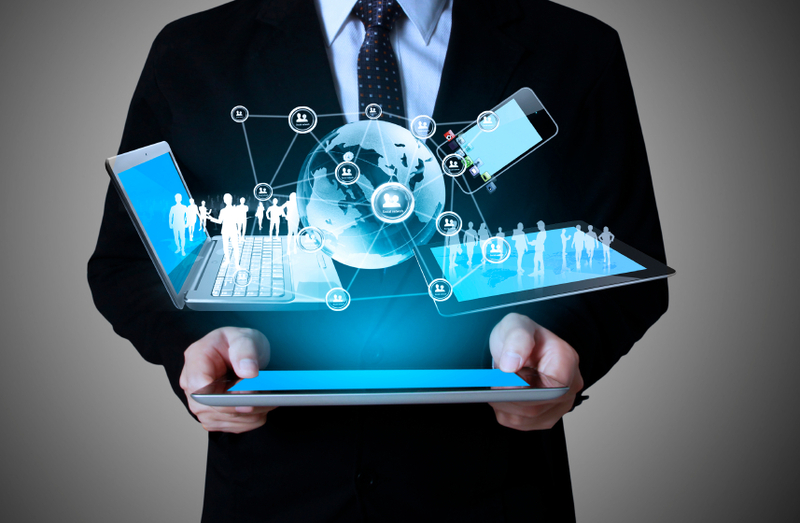 With the growth of the internet, digital assets have made their introduction. They are subject to the same definition as regular assets; thus they can be owned and have an economic value. What makes them different from traditional assets is that digital assets are not in the physical world, but in the digital space. They are binary, thus in their essence they are combinations of 1’s and 0’s. Examples of digital assets are data, software, designs, electronic addresses, virtual items of virtual worlds and of course, cryptocurrencies. Most people have a hard time understanding the value of some digital assets as they are intangible and binary, which makes a lot of people believe that they have no intrinsic value. However, the current and continuously increasing value of the crypto market seems to provide evidence to the contrary. Most contracts currently run through centralised systems which are operated by third parties. Whether you want to buy a house, a car or issue a new passport, you’ll have to go to a third party to complete the contract. A lot of back and forth interaction is necessary and these processes can be time-consuming because there are multiple unrelated parties involved who all need to supply and verify the appropriate documents. We currently need this system because it’s the only way we can validate the authenticity of documents and trust unknown parties. If you want to buy a house, the current owner wants to ensure that he will receive the money, the government wants to know who owns the house, and you want to make sure the house actually belongs to the proclaimed owner and verify the state of the house. All this costs time and money, both of which can be saved by employing smart contracts. Smart contracts are not much different from regular contracts, only they are executed automatically. A simple example of a smart contract is borrowing an ebook online. You select which ebook you want and you receive it. The exact date and time you received the ebook will be entered into the contract and when you’ve finished the ebook, the contract will be terminated and you pay for the time you had the ebook. No third party needed. Smart contracts are not a new concept; the only barrier is that they were extremely difficult to implement as they still needed to be verified by a third central party. Blockchain removes this need as blockchain technology is secured by its decentralised network. Documents cannot be tampered with on the blockchain, meaning that smart contracts can finally be efficiently and securely executed. Smart contracts are lines of code that are written on a blockchain. 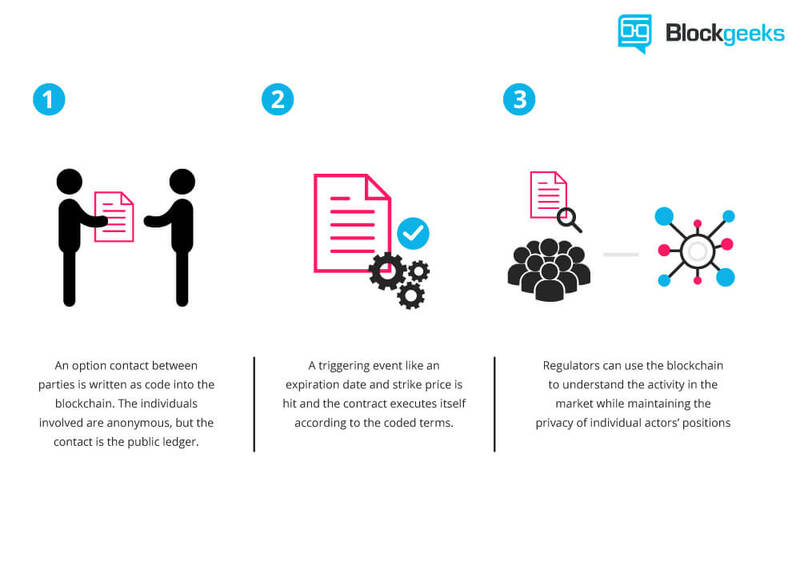 The codes represent agreements that are automatically conducted by computers or blockchain nodes. Once the contract is executed, this blockchain ledger is updated and the network can verify the completion of the contract. The sequence of smart contracts are like dominos. The completion of every term of the contract will automatically activate the next term until the contract is fulfilled. This logic is called ifthisthenthat and it is already used in, for example, subscription emails. Say you want to receive a weekly newsletter. You enter your email, and accept the terms and conditions. This automatically leads to you receiving a confirmation email, and once you confirm your email, you are subscribed and automatically receive the newsletter. Automation and no need for human interference is what makes smart contracts so promising. Instead of needing human verification on whether all obligations of a contract are fulfilled, the contracts will do this themselves. Parties that are unknown to each other can do transactions with one another without the need for trust. Blockchain verification provides trust. The contracts are stored on the blockchain and all parties will have access to the information on the blockchain. Every step of the smart contract is verified and stored on the blockchain in chronological order, making it possible to analyse the entire sequence of events within the smart contract. Let’s end with another example of how smart contracts can change the way the world works. Say you want to buy a secondhand car you saw online from someone else. You request the details and the history of the car (smart contract), which are stored (smart contract) on a blockchain. You like what you see and you’d like to take the car for a testdrive. You give the current owner access (smart contract) to the blockchain that stores your personal information (smart contract) as a guarantee. Let’s say the car is self-driving, and by giving access to your personal information, the car will drive to your house (smart contract). You like the car and decide to buy it. You transfer a cryptocurrency of choice to the seller, and simultaneously the car ownership is transferred to you (smart contract). As you can see, there is no bank, car dealership or institution needed for this transaction. This is just one of the numerous possibilities that smart contracts can fulfill. They eliminate the need to trust other parties and save time and money. Ethereum currently is the number one blockchain platform to build smart contracts on, and there are other smart contract platforms such as NEO, Qtum and Cardano.